This automatic pump station with open impeller 0.25kw - 230V have a capacity tank to 230L. It used for lifting of rainwater or lightly loaded water. Fully unit and ready to install, with burried capacity tank 230L + power pump 0.25 + equipment. 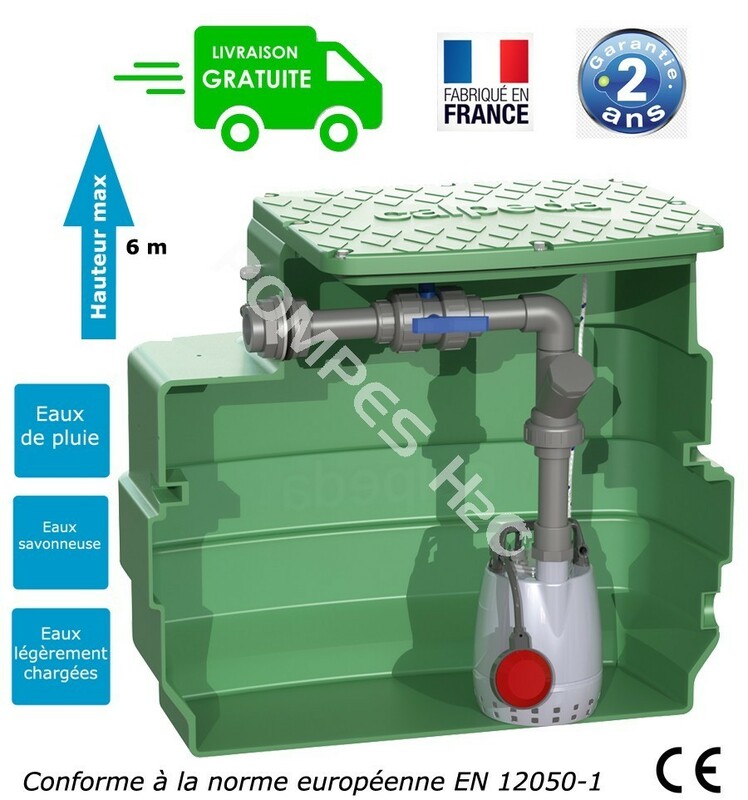 Burried sewage pump station, made in high-density polyethylene, with tight cover is locked by screw to secure a perfect tight and resistant to corrosion. - 1 control box QM 6.3 type with capacitor.